Then scroll down to the block at the bottom that says People already on the project. Below each person’s name, you’ll see a link that says Remove. Click that and you’ll be prompted to confirm that you’d like to remove this person from the project. Hit the Remove button, and you’re done! That person will no longer have access to this project. To remove yourself from a project, you'll go through the same process. We'll check to make sure you're sure you don't need access anymore, and off you go! 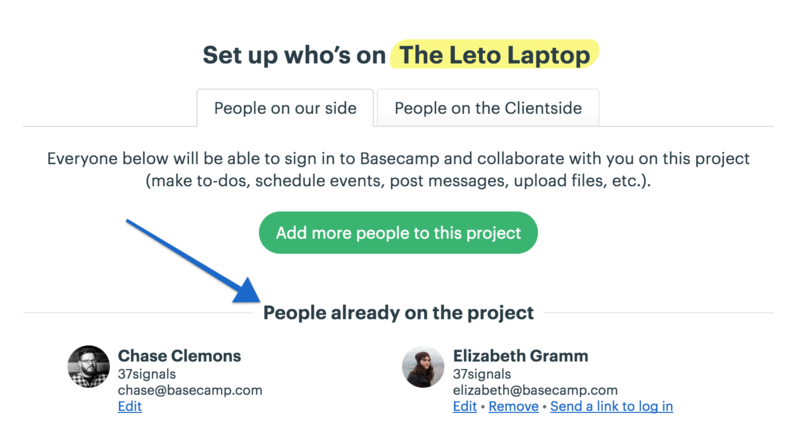 If you need to remove a person from your Basecamp account entirely, head on over to Adminland.